Unusual places to stay in Australia includes the unique and boutique. Here are five of our favourites from Airbnb that are worth a visit. From the rolling countryside to the desert, to ocean retreats and booming cities, the ‘Lucky Country’ has something for everyone. Who needs an expensive overseas flights when everything you need for an awe inspiring, adventurous and unique adventure is waiting for you in your very own back yard! We’ve collected a list of the weirdest, wackiest and most unusual places to stay in Australia to make your next escape unforgettable, for all the right reasons! Gather the troops, hit the road and book yourselves in for one of these extraordinary adventures – we guarantee you will have something to talk about when you return! No list of unusual places to stay in Australia would be complete with mentioning St Jerome’s the Hotel. On a rooftop in the heart of Melbourne’s thriving city centre lies St Jerome’s the Hotel, a tent getaway complete with hammocks, a rooftop bar, delicious cuisine and a 360 view of Melbourne’s impressive skyline. Though technically camping, this hotel does not skimp on luxury. The tents are simple and beautifully designed, accentuated with a massive plush bed you just can’t wait to fall into after a big day enjoying the city sights. Hatter’s hideout is nature’s equivalent of the Sydney Opera House. 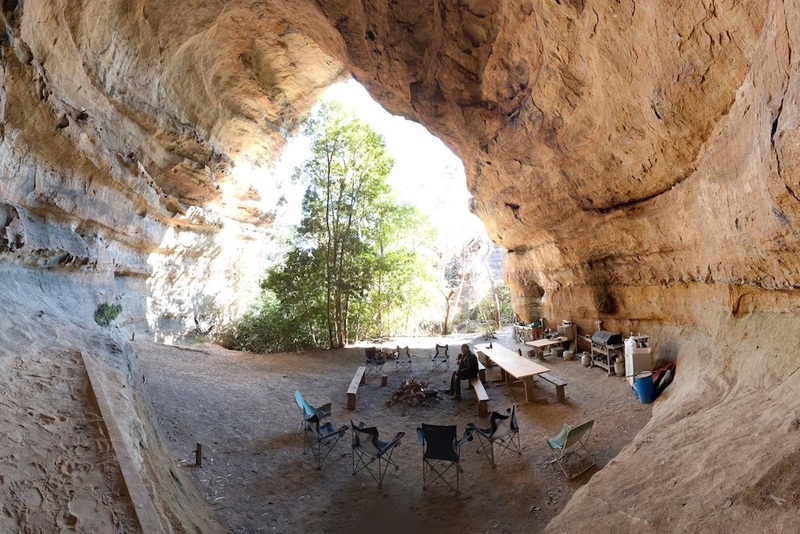 20-metres high and wide, this natural cave is hidden within eight private acres of land in the Blue Mountains. Guests can choose to sleep in the cave or make use of the slightly more luxurious, 4-star private lodge within five minutes walk. The accommodation includes firewood, tents, panoramic views and a ‘Bush Walk and Talk’ tour. If nature is your game, then this open-aired Airbnb is a dream come true. Nestled between two national parks and a World-Heritage listed rainforest in the Blue Mountains, the accommodation is close to several natural features for those who love the great outdoors. Mountain bike, canoe and hike your way through 600 acres of lakes and gorges, glow worm caves and rare natural rainforests, before returning to the spa, floor to ceiling windows, fireplace and comfortable queen bed of your treetop oasis. Igloo by the Sea, Trinity Beach, QLD. This alternative Airbnb offering combines the two things you would never have thought you would hear in the same sentence, and does it oh so well. A few strides away from the best beaches in the Cairns area and a few minutes’ drive from the sleepy seaside town of Trinity Beach, these retro, 70’s inspired little ‘igloos’ are quaint and comfortable. Just perfect for a couples retreat or family getaway! A secluded paradise with a view – and not too hard on the wallet either, The Yurt Alpine Retreat is perched on top of the rolling hills of Victorian High Country. Located within the owner’s winery, the yurt is twenty minutes away from fantastic restaurants and civilization, but isolated enough to feel like you’re in your own world, A comfortable bed, traditional Mongolian decorations, outdoor BBQ and the natural flora and fauna makes the Yurt the ultimate way to experience the Aussie outdoors. This is ‘glamping’ at it’s very best.